..." To protect yourself and your baby from hazardous bacterial infections, such as listeria, make sure all milk you drink is pasteurized, and all the cheese and other dairy products you eat are made from pasteurized milk ("raw milk" cheeses are not.) Juice, which can contain E. Coli and other dangerous bacteria when it's raw, should also be purchased pasteurized. 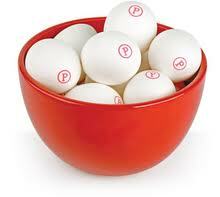 Even eggs now come pasteurized (which eliminates the risk of Salmonella without changing taste or nutrition)." Ah, raw milk *sigh*. If only our government would stop lining it's pockets at the expense of our health. It is unofficially "banned" for a farmer here in Ireland to sell his raw milk to another; all for our "safety" of course, but there are ways and means of getting it for your family. This topic actually makes me really mad. If the process of pasteurisation kills bacteria that "might" be in our milk, what do you think happens to all the lovely nutrients? Yes, they go too...as we all know expectant mothers needs as much goodness and nutrients as possible. We were hoping to be able to milk the freisian cow who was due to calf last week, but since the loss of her calf we cannot. Hopefully in the future, we will have a gentle enough freisian cow, to milk for our families needs. Onto my next point ~ Who'd have thought raw fruit juice could be "dangerous". I have often seen pasteurised fruit smoothies for sale in the supermarkets. Whilst been very expensive they are also very deceptive in their description of the pasteurisation process..."gently pasteurised, just like milk" Yes, and don't we all know how "gentle" that process is! Thanks but no thanks, I actually want some vitamins and nutrients left in my fruit juices. And finally...Wow, I hadn't even realised that you could buy pasteurised eggs! That is INSANE! It seems as though Ireland has thankfully not taken up this crazy form of food "safety". I find the process of pasteurising eggs very suspect; even when we wash the eggs from our farm we use cold water, so as not to cause the eggs to spoil. But heating the eggs to 130 F for 45 minutes must be a-ok? Expectant mothers should be consuming eggs that have high nutritional value, not more de-natured dairy products that are responsible for so many health complaints. Guys come on; good farm fresh milk, cheeses, yoghurts and eggs are bad for our health? But injecting pregnant ladies with a toxin laden H1N1 vaccine is perfectly safe? If safety of the mother and baby, really is the reasoning for these bizarre recommendations; considering all the risks and potential hazards that pregnancy itself may pose, why not simply pasteurise the whole pregnancy; make it "safe" and mark it with a big red P! Hmm...perhaps we wouldn't want to give them ideas like this, who knows what they'll come up with next?!?? Now Sarah, we all know that the average person is incapable of discerning what is healthful and what is dangerous. Only doctors are qualified and you must ask only them. However, there is a doctor (a real M.D.) near my home that is a proponent of raw milk. He cannot sell truly raw milk, but instead it is lightly pasteurized: held at 145F (60-ish C) for 30 minutes. To be able to sell it, he must have his dairy inspected once a month. I guess it's not perfect, but better than the alternative. He also told us that organic milk on the market is not only pasteurized at 200F (93C), but it is usually "ultra-pasteurized" meaning that it is also swept with ultraviolet light to further kill bacteria and give it a longer shelf life. All I can say is that real milk tastes entirely different than "stripped" milk. My daughter won't drink store bought milk. She gulps down the real stuff. To me, the benefits of having clean, bacteria-free milk and eggs would outweigh the minute difference in nutritional value. Salmonella can enter eggs through the shells of unbroken eggs. It's just not worth the risk to me. I was looking through the pamphlets I was given when i had Elowen to see which ones I should pass on to my pregnant sister. One of them was warning against unpasteurized foods. That one went in the trash. What I don't get is why the government can't just leave people alone to make their own decisions. I think you have to be more specific about which nutrients you think are being destroyed. There are many different vitamins and minerals found in milk, and most are not heat sensitive. The same is true of juice. Why do you think it's a "crazy form of food safety"? Don't you think the bacteria exist? The evidence tells us it does. Communities where raw milk is legal have twice the level of hospitalization for foodborne disease. When you're pregnant, isn't your instinct to protect your baby from illness and disease as best you possibly can? Even if handled carefully, raw milk can accidentally come in contact with the cow's skin, faeces, urine, or the farmer's hands without even realizing it. Bacteria thrive in milk as it's rich in sugar, so their multiplication can be exponential (which is the reason it's safer to drink raw milk quickly after milking the cow, rather than waiting hours or days). Anyway, the point is raw milk is a genuine public health risk and it makes sense that the experts want to protect people from contracting dangerous infections, especially pregnant women. If you want to drink it fresh from your own cow, that's one thing, but the authorities are responsible for making sure people who don't have their own cows get safe milk without dangerous levels of bacteria. It's not a crazy form of food safety. Weird, I've not heard of pasteurised eggs either - unless all the eggs sold in the UK are pasteurised without being marked and I've never noticed?! And as for fruit juice - what about if you made your own at home with a juicer? Surely that would exactly the same as eating whole, for example, the oranges you'd made the juice from? Sara ~ If drinking raw milk is a "genuine health risk" then so is eating any number of fruits and vegetables. Would you prefer we all quit eating; just-in-case? There is of course a "risk" of bacterial infection from ALL foods and drinks we consume...I have yet to hear of a ban on spinach, just in case it contains traces of E.coli...and yet we do hear these stories in the news every so often. The problem is our farming methods not the foods/drinks themselves. I do not think that God made "mistakes" when he created our sources of food, but humans sure do! I'm glad I can use my common sense in this area. I do not consider the health authorities to be an authority on health...quite far from it actually! Elizabeth ~ Hahaha, I LOVED your sarcasm. Though I know LOTS of people who actually do think that way. Sometimes I offer advice if it is appropriate to do so, but most of the time I don't think people would believe me! Anon ~ The "risks" of eating/drinking raw dairy are minute. You probably encounter more "risks" driving you car! "If drinking raw milk is a "genuine health risk" then so is eating any number of fruits and vegetables. Would you prefer we all quit eating; just-in-case?" Raw milk is the single leading cause of foodborne disease outbreaks (it causes 3 times the amount of hospitalization than the nearest contender), which illustrates that it is much more vulnerable to bacterial contamination than other foods. (It is similar to meat and eggs in that respect, because it's in such close proximity to the animals excretions). In any case, authorities do set regulations on the safe handling of other foods such as fruits and vegetables to minimize the risk of disease outbreaks. So no, I wouldn't suggest we quit eating, but I do advocate safe handling of all foods, especially animal products. "I have yet to hear of a ban on spinach, just in case it contains traces of E.coli...and yet we do hear these stories in the news every so often." No one is suggesting we ban spinach, no. No one is suggesting we ban milk, either. But the authorities do make sure spinach is safely handled prior to sale to minimize bacterial contamination/growth in the same way they do milk. Sara ~ In my home country, yes the authorities ARE talking about banning raw milk! It is deemed to be "unsafe" for everyone to drink! Also spinach is not pasteurised, only simply washed before eating...milk is subjected to much more, in order to be deemed fit for human use. I do not see how these things are treated the same. Like I already said, it is not the foods and drinks in and of themselves, but our farming/handling methods that allow for bacterial contamination. Under-cooked meat may pose significant risks of food poisoning and yet no one pasteurises meat for expectant mothers to consume. We are just advised to cook it properly; why can the same advice not be given in respect of unpasteurised eggs? My beliefs about this issue, are as stated in my original posts and subsequent comments. You are quite entitled to your opinion and to eat/drink as you see fit; as am I. However I will not be arguing over this issue with you any further, as it does seem rather pointless. They might be talking about banning raw milk, yes, but they're not talking about banning milk. Since there's so little difference between raw milk and milk, you can hardly say it makes a difference. Yes, your point about cooking meat is absolutely true and illustrates my point perfectly. We do need to properly cook meat for just the same reason, to kill bacteria. Since milk isn't "cooked" in the home and drunk cold instead, it makes sense that it needs to be treated for its bacteria content at some point in the food chain. Yes, you're entitled to your opinion. I just wanted to share some facts with you in case it makes you think differently about the issue, especially as you're pregnant and your baby is depending on you to stay safe. All I can do is roll my eyes lol! Raw milk and fresh eggs are fine to eat, especially if you are handling it yourself! Don't worry Sarah you will be just fine.